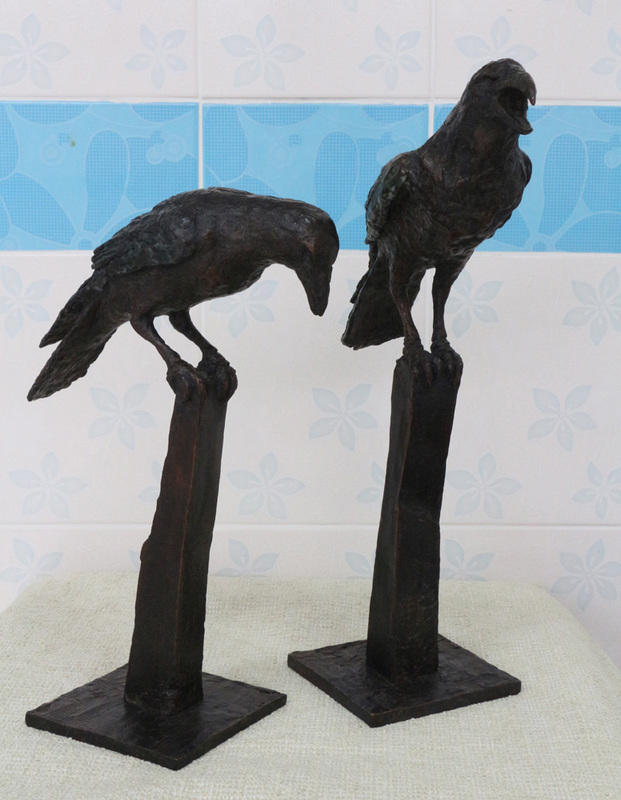 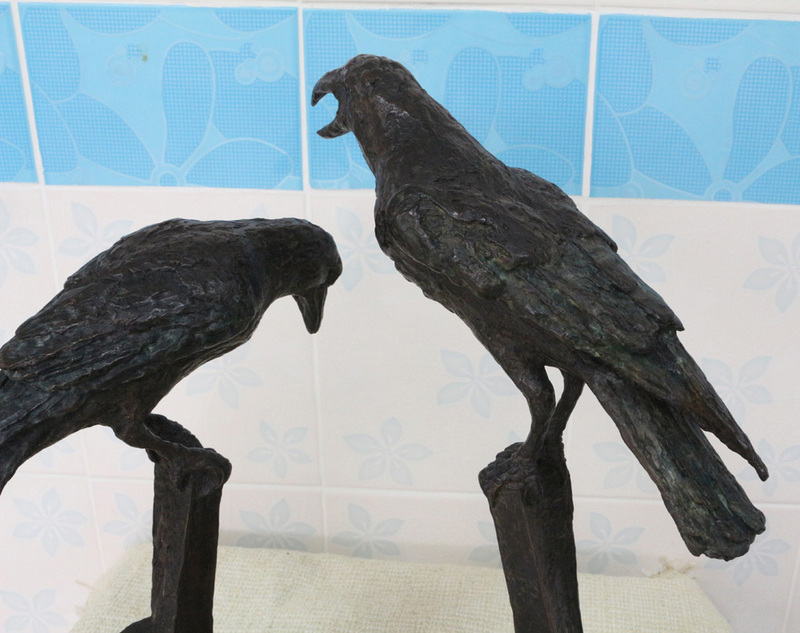 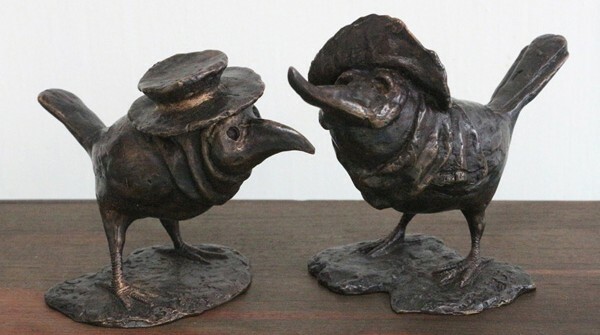 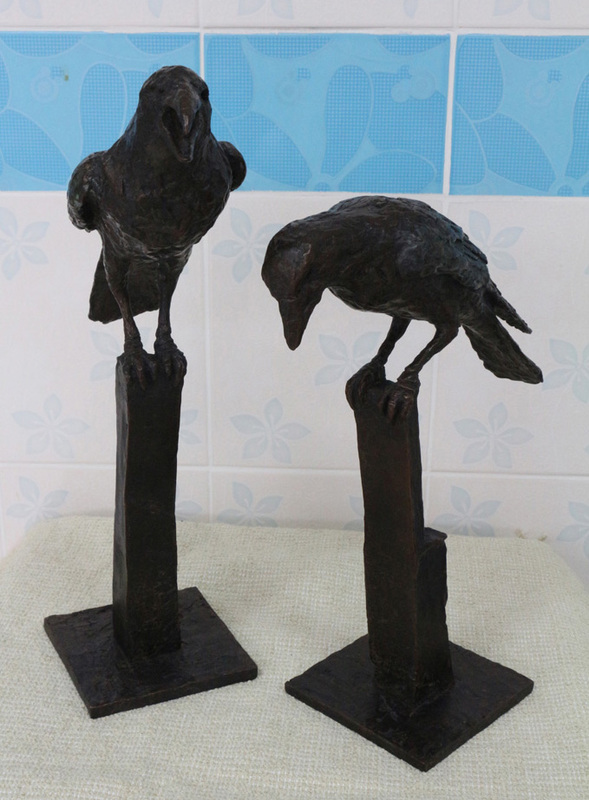 Two crows, silent and noisy, back from the foundry yesterday. 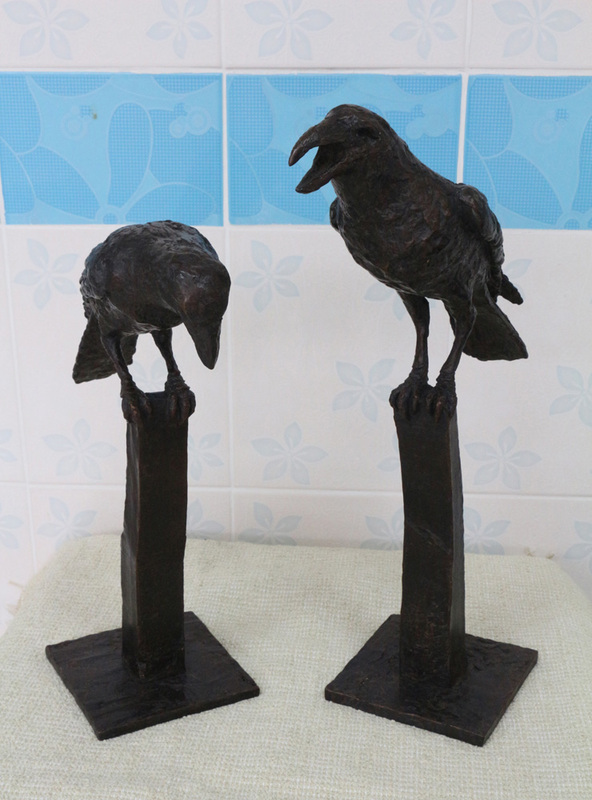 Bronze, about 42 & 34 cm tall, edition of 20. 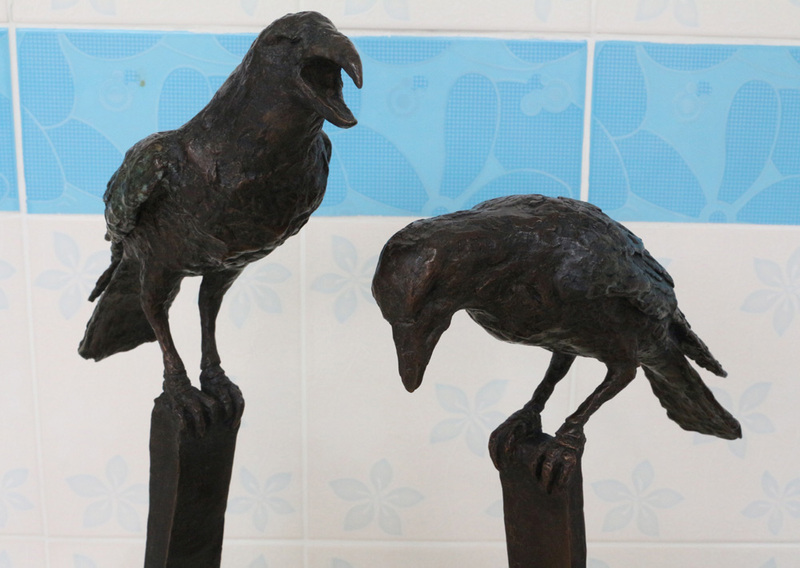 I’m pleased with how they look together.